Stand Alone Wind Speed Display. 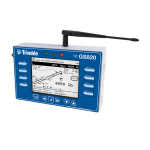 The Trimble GS320 wireless wind speed display for cranes offers maximum benefit for crane applications where wind speed monitoring is critical. In the crane business, wind can be a potentially deadly element in the day to day operating environment. 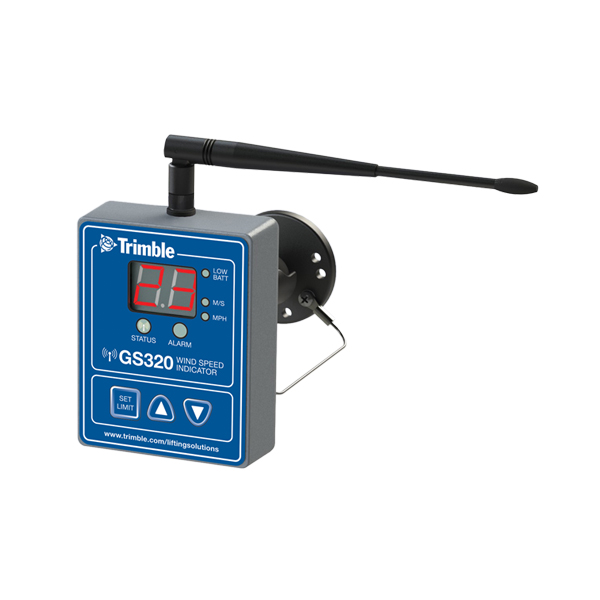 The Trimble GS320 Wind Speed Display designed to be utilized in conjunction with the GS026 Wind Speed Sensor offer users a highly effective and market proven solution for monitoring crane wind speed. Users can display wind speed units in mile per hour or meters per second. 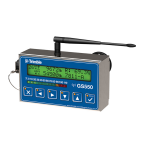 The wireless wind speed indicator features accurate and reliable Direct Sequence-Spread Spectrum-Two Way Communication. The GS320 has an operating range of 4,000’ or 1,300 m. You will appreciate the power behind this range when working in and around wind turbines. Wind turbines output a very strong RF signal, and our innovative technology has been perfected to work within this uncompromising environment. Our technology is also very successful when installed on long boom lattice cranes. While a 500’ lattice boom often presents challenges for our competitors’ systems, an Trimble system will effectively and efficiently communicate with the cab mounted display. The Trimble GS320 Display will show the wind value in MPH or meter per second. You will also be able to set a wind speed warning limit which will provide an audible and visual alarm when the limit has been reached. A key installation tip is to ensure that the wind speed sensor is placed at the boom tip of the crane, as compared to the top of the crane cab. There is a vast difference of wind speed at 20’ off of the ground versus a boom tip that is 200’ off of the ground. There have been many avoidable accidents due to a cab-mounted wind speed sensor.One of the major advantages of Trimble two way radio communication is the management of battery life. When the GS320 Display is turned off, the GS020 Wind Speed Sensor stops active transmission. At that point, it simply listens for the display to say that it is back online. 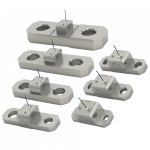 This process uses virtually no battery life. 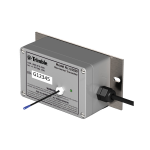 The Trimble GS320 also controls the radio power level of the GS020 Wind Speed Sensor. The GS320 Display will automatically increase or decrease the radio power on the GS020 Wind Speed Sensor depending on the signal strength. This ensures effective communication at all times and optimizes battery life. The typical battery life of our GS020 Wind Speed Sensor is 2 years.